Last week was Fall Break for most Oklahoma schools. It was much needed after the first quarter. School has been quite good this year (hope I am not jinxing myself) but I definitely needed a getaway. We both needed it. In fact we both left work a wee bit early on Wednesday so we could at least make Amarillo for the night with our ultimate goal being Taos. If you ever get the chance to dine here, make sure you order something “waffled” so you can get a side of their Imperial Syrup. I could drink this stuff. 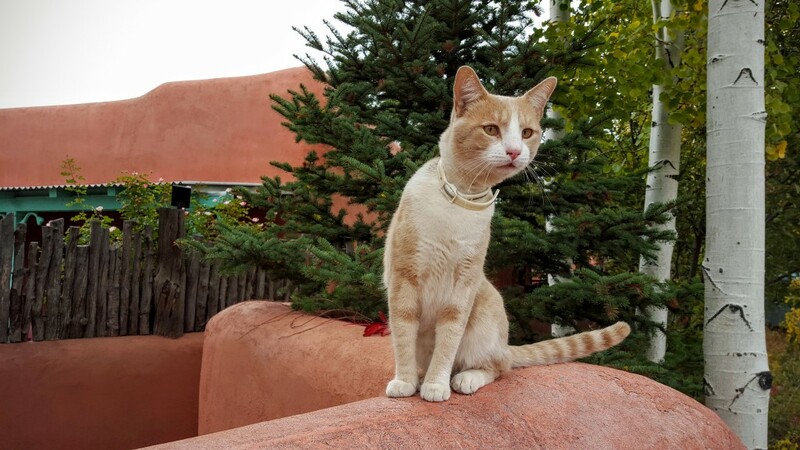 I think that he had made a previous appearance at The Paseo last month in Taos. 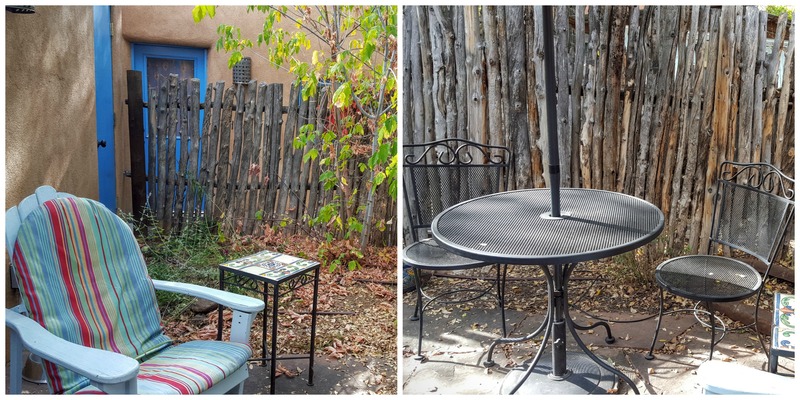 After our filling meal and our brief stop in Santa Fe, we headed to Taos to check into our little casita. 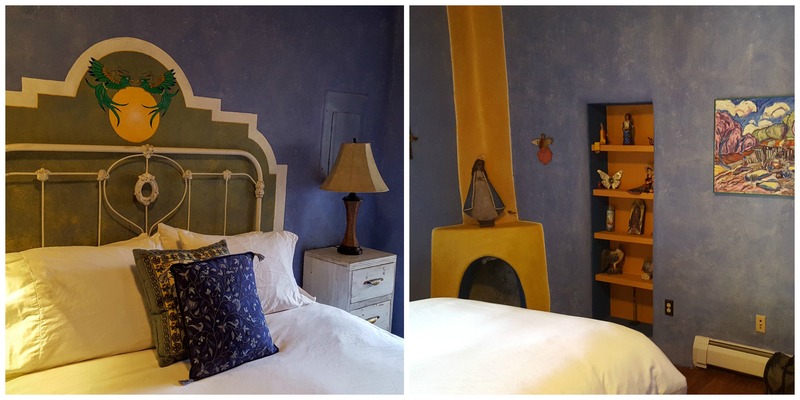 We rented this property, located in the historic La Loma Plaza for our three night visit in Taos. We then checked out the rest of our little casita. 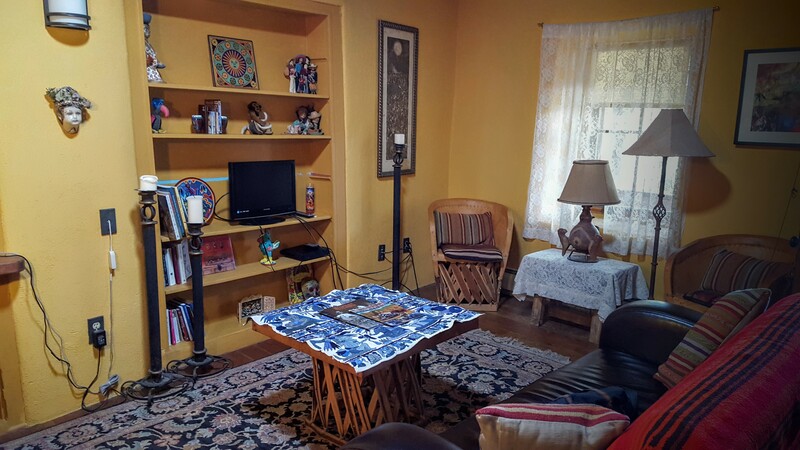 La Loma Plaza is only a short walk from The Plaza and most other places of interest. 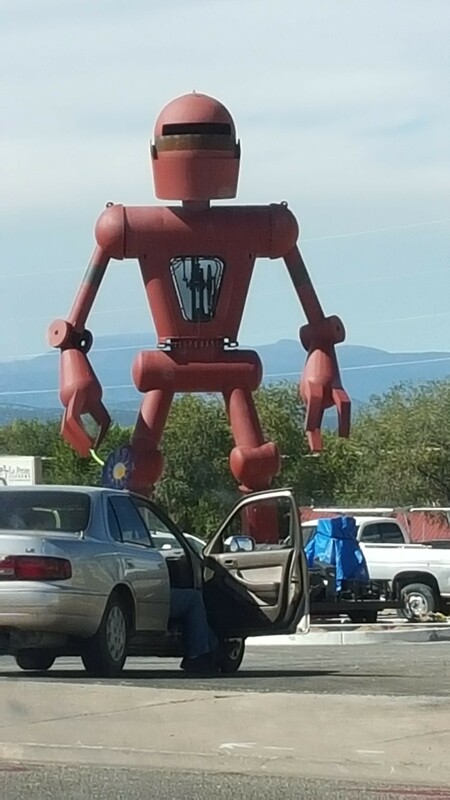 There is a grocery store within walking distance and The Harwood Museum and the Black Mesa Winery Tasting Room were basically just across the street. 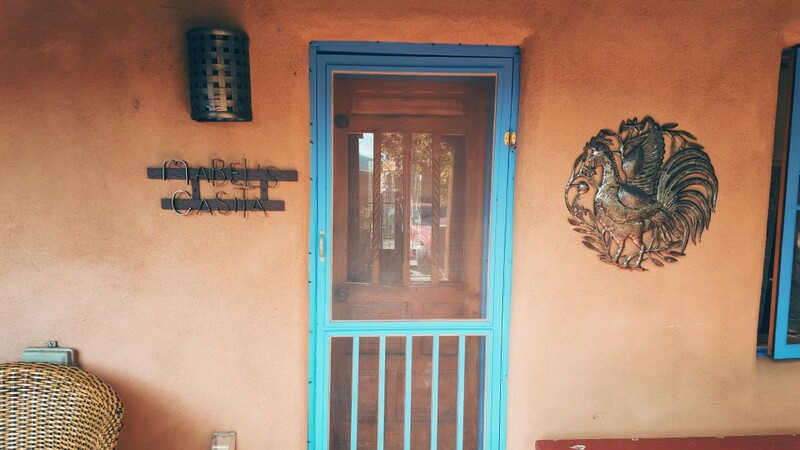 As the sun set on our first day in Taos, we set out for our favorite brew pub: Eske’s (pronounced es-kees). Eske’s is a quaint neighborhood-locals type establishment. I think we and one other couple might have been the only outsiders but we were certainly welcomed. No photos but I will tell you that the mashed potatoes were outstanding (those that accompanied The Hubs brat sandwich) and I had the best vegetarian green chili stew. (I am working on replicating this now. When I have it perfected, I will post about it but I am having problems getting Eske’s creamy consistency.) I also loved the sour cherry cider here. Stay tuned for more about our visit. You know there will be good food involved! 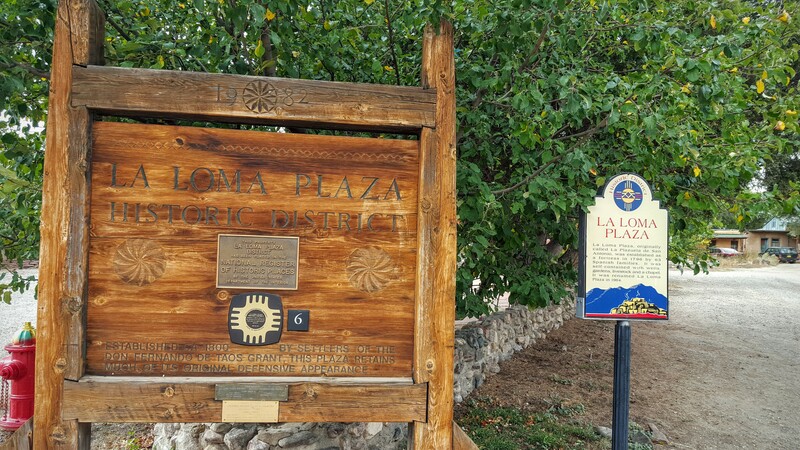 La Loma Plaza was definitely a cat-friendly community! That looks like a very friendly and lovely place. 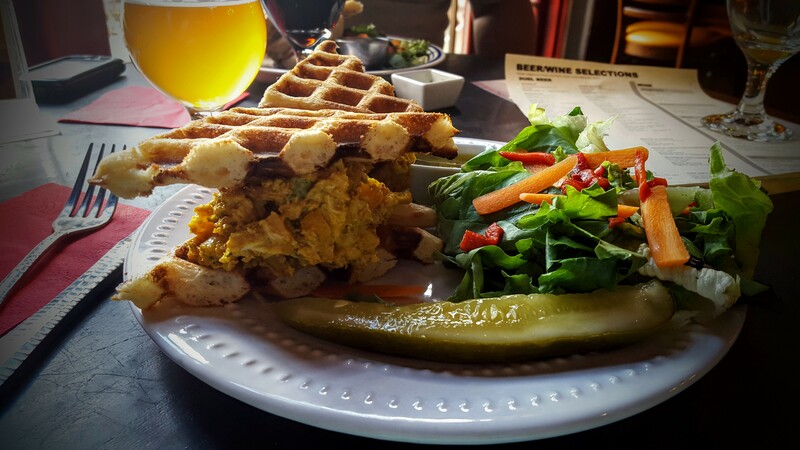 I love the idea of using waffles to sandwich the curried chicken salad. How fun! I relaxed just looking over those last several photos. It’s definitely a great getaway place (especially with the kitty accent). I’m glad you guys had fun and were able to get away for a few days. Can’t wait to hear more about it. What a great place to visit! I love Santa Fe and Taos so much. Did you tour the Taos Indian reservation? Looks like you had a really fun time! I surely envy your ability to travel often. The casita was lovely, wasn’t it? so peaceful looking! Great pictures Deb!!!! I love the little casita! 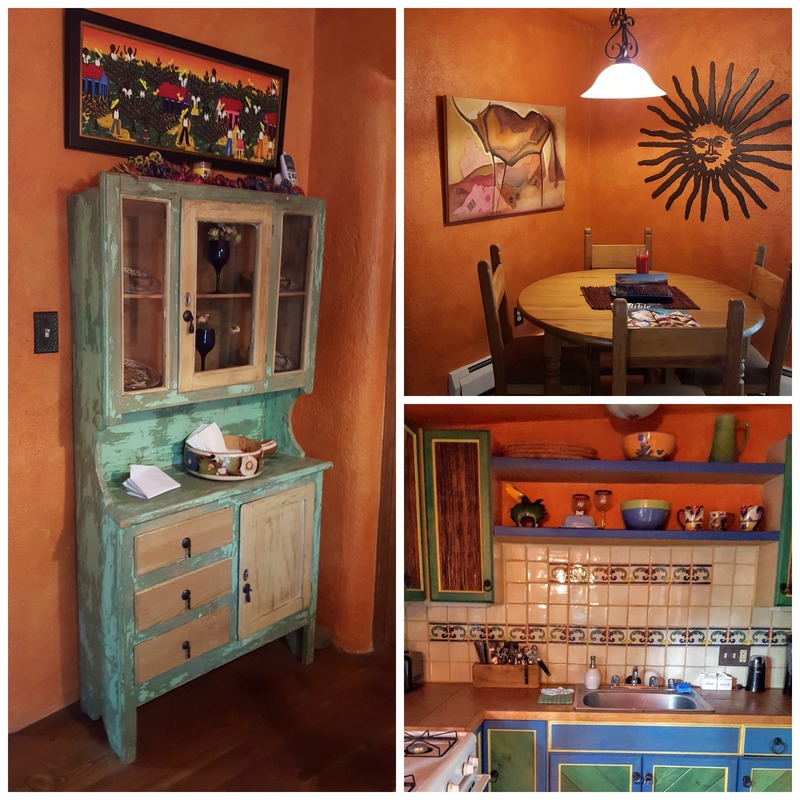 We love doing vrbo, so next time we have an extended visit to Taos, I’m definitely going to check Mabel’s for availability. Love the feel of it and the location can’t be beat. What a beautiful little place to stay. Love all the colors.